I’m having some friends over and I need to choose some records. All morning I’ve been sharing some streaming tracks I just uploaded to Spotify, so it’ll be nice to go analog for a bit. It’s been a year since Tom Petty left us, but I just picked up this record over the weekend to spin today and keep him around a bit longer. It has ‘You Got Lucky’, ‘Southern Accents’, and a bunch more of my favs. Summer is officially over, but I’m sitting on the balcony under a gorgeous powder blue sky while listening to Gordon Lightfoot ‘Summertime Dream’ on vinyl, so Summer is not really over. Happy Monday! I found this gem in a pile of records and I figure it might be the perfect soundtrack for reading my emails this morning. ‘Irwin The Disco Duck and the Wibble Wabble Singers and Orchestra’ must have had many challenges fitting their band name on venue marquees. 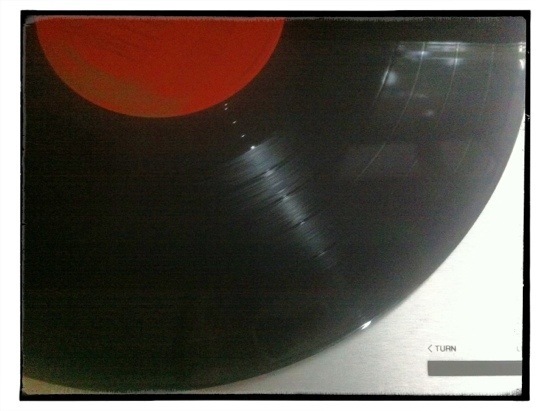 There’s not really any silence today, we’re enjoying records. 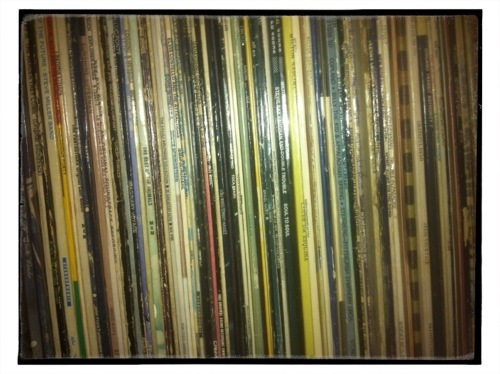 I’m spinning singles today, mostly 80s tunes, I have some treats in this stack. I’m listening to Gordon Lightfoot on vinyl this morning, debating with myself about which is better, his songwriting or his voice? I am exhausted, I feel like I’ve been to or at least through every section of Los Angeles today, increasingly late as the day raced on. I’m pretty sure I’ll be back out in just a few moments though, “all we need is time…”, yes please, Al, a little more time. I recorded a couple demos this morning and almost finished another new song, so I’m taking a couple of hours off this afternoon and studying the masters, The Beatles ‘Rubber Soul’ on vinyl, and then ‘Wings Over America’. I got them last week and haven’t been able to listen to them since. I hope your Tuesday is good too. I found this vinyl treasure at Bop Street Records (thanks Sam and Catherine for the gift card!) and I’ve been in heaven all afternoon. 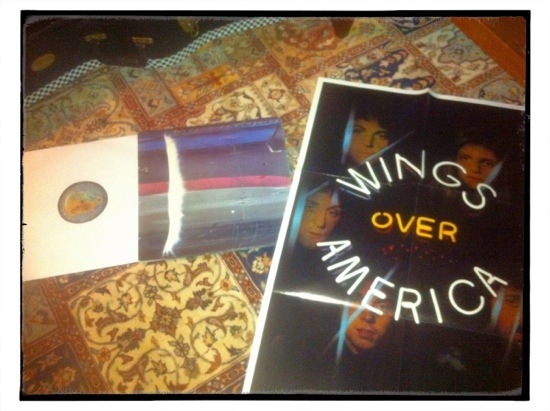 Wings Over America, 1976. The lights are low, and the bass is heavy, and it’s a 3 disc set. Phil (our cellist) couldn’t find his record player, but he promised me next time I came over he’d have it dug out and I could listen to some vinyl. I think I’ll start with the Everly Brothers. Then what? 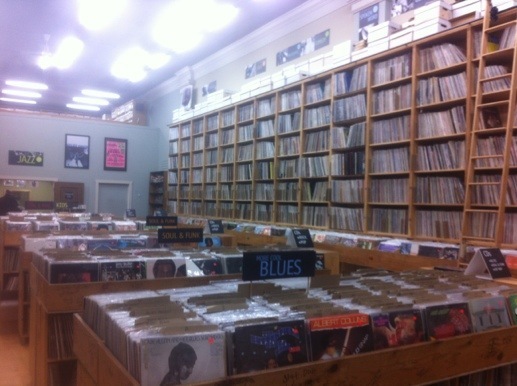 I spent part of my afternoon flipping through bins of vinyl treasure at Bop Street Records in Ballard. I decided to put together a vinyl record survival pack, a little bit of Stevie Wonder, some live Ike and Tina Turner, Gordon Lightfoot greatest hits, The Temptations, and live Crosby Stills Nash and Young. Come on over and have a listen. Temptations – Psychedelic Shack Spin this soon.